Oscillators have traditionally been described in books for specialist needs and as such have suffered from being inaccessible to the practitioner. This book takes a practical approach and provides much-needed insights into the design of oscillators, the servicing of systems heavily dependent upon them and the tailoring of practical oscillators to specific demands. To this end maths and formulae are kept to a minimum and only used where appropriate to an understanding of the theory. Once grasped, the theory of the general oscillator is easily put into practical use in actual oscillators. 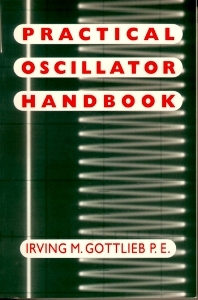 The final two chapters present a collection of oscillators from which the practising engineer or the hobbyist can obtain useful guidance for many kinds of projects.